This is a compact sub woofer speaker plate ideal for use with modern day smaller speakers where larger plates could be visible. 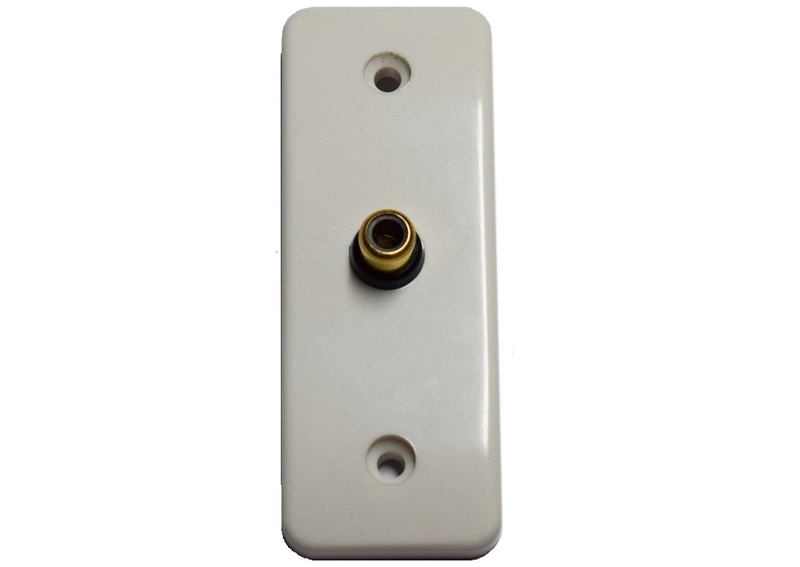 The plate is on a MK architrave plate with a phono through type connector for easy connection of the sub woofer cable. The plate has X1 gold plated phono connector. Speaker wall plates are a great way of tidying up the connection between the AV receiver and speakers when permanently installed.